Where can I store my luggage in Paris? Whether you’re catching a late flight, have too many shopping bags 🛍️ after raiding Gallerie Lafayette, or are in Paris on an extended layover, you probably asked yourself: where can I drop my luggage off in Paris? If you need a place to store your bags, look no further. Stasher has got you covered. 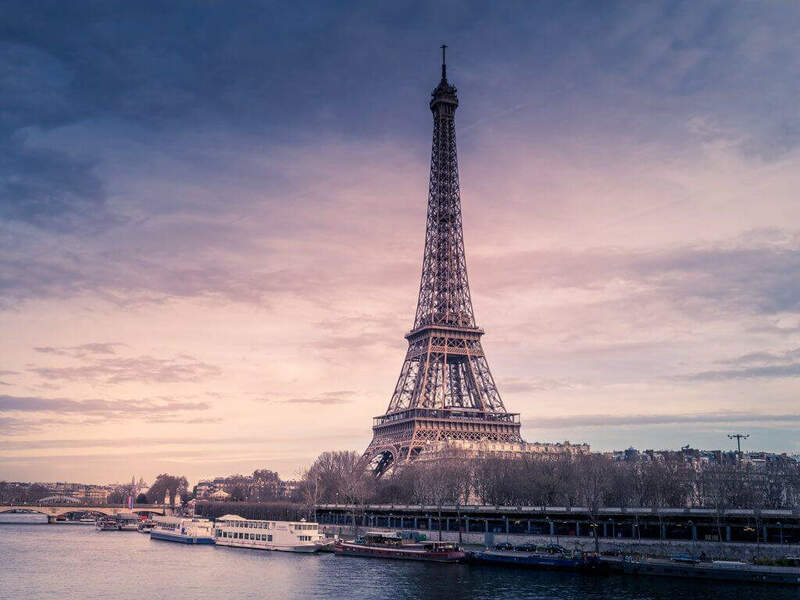 Thanks to a network of hundreds of hotels and local businesses in Paris, Stasher luggage storage offers affordable and convenient storage solutions so you can safely store your bag and enjoy everything Paris has to offer. ✔️We partner with international hotel chains like Premier Inn and Accor hotels. ✔️Each item is insured up to €750, giving you that added peace of mind. ✔️Our StashPoints are spread out across the whole city and not only located at train stations meaning that wherever you are, we have a luggage storage location nearby. A convenient, affordable and fully insured service, Stasher is a platform that puts you in touch with hotels and local shops with a little extra space to store your bags. Stasher has hundreds of luggage storage locations worldwide and over 50 in Paris alone - every luggage storage location has been personally vetted by a member of the Stasher team to ensure that the same high standards exist across all StashPoints. How much does it cost to store your luggage in Paris? It’s just €6 per bag per day, and €5 for any additional day. Where are the StashPoints for my luggage in Paris? Our goal is to have a StashPoint wherever you might need it - whether you need to store your bags next to the Louvre, the Eiffel Tower, Montmartre or Gare du Nord, rest assured we have a StashPoint within walking distance. After all, no one wants to have to drag their bags down Paris’s crowded streets. Most of our StashPoints are open 24/7 or until late, 7 days a week. We know how valuable your time is, that’s why we don’t want you to change your plans to accommodate for drop-off or pick-up times. If you have some time left in Paris before you head to Gare du Nord to catch your Eurostar train, why not go on a last walk around Paris? Try to discover the most instagrammable places in the City of Light or check out our guide to off the beaten path things to do in Paris, including places to eat, underrated museums and little-known markets. Booking with Stasher it’s easy! You will instantly receive a booking confirmation email so that you can rest assured your spot has been successfully reserved. Easier than packing a bag! Have a problem with your booking? Our award-winning customer service is always on hand to help you out. Simply chat to us using the online chat tool, email us at [email protected] or call us up on +33 1 86 26 64 91. While Stasher luggage storage facilities are up to 50% cheaper than the traditional train station services, you might still want to check out the other alternatives available. Check out a more detailed guide on the Paris Rail Network and how to get around Paris by train. Which Stations offer Luggage Lockers? Open 06:15 am – 11:15 pm, 7 days a week. Located Level -1, below the North West Information booth, escalators down. Station for suburban and grand line trains (including Eurostar, TGV & Thalys), RER B, RER D, RER E and Metro line 2,4,5. Open 06:15 am to 10:00 pm daily, closed Sundays. Located in Hall 3 under train lane “N”. Station for suburban and grand line trains (including Artesia and TGV), RER A, RER D and Metro line 1 and 14. Connection to CDG airport via Air France shuttle. Open 07:00 am to 10:00 pm, 7 days a week. Station for RER A, TGV, Eurostar. Disneyland Paris also has its own baggage storage within the park, open 8 AM till 45 min. after close of Disneyland Paris. Open 07:00 am – 01:30 pm, 7 days a week. Station for suburban and grand line trains (including Elipsos, Aqualys, TER, and Téoz), RER C, Metro line 5, and terminus for Metro line 10. Open 7:00 AM to 11:00 PM, 7 days a week. Station for suburban and TGV trains, Metro line 4, 6, 12 and 13. Connection to CDG or ORY airport via Air France shuttle. Open 06:00am – 11:45pm, 7 days a week.Located Level -1 (Metro level). Station for suburban and grand line trains (including Lyria, City Night Line and TGV), Metro line 4, 5, and 7. There is NO luggage storage at Gare Saint Lazare, although it is a main train station and does have a Lost and Found office. Same with Gare de Bercy: no baggage storage on-site although Gare de Lyon is within 15 minutes walking. All your bags (even those you're not leaving) are X-rayed before entering the locker area as a security check. If you’re dropping at peak times or weekends, there will likely be a queue. Queues can last over 30 minutes ⚠️, so be aware if you’re tight for time at drop off or pick up. For each piece of baggage, prices are €7,50 for a medium locker and €9,50 for a large locker. See the Paris rail information page for more information. What size are the lockers? Storing your luggage at the airport is only convenient if you’re staying in Paris for a brief layover and then making your way back to the airport. Otherwise, there are cheaper and more convenient options in the city centre. Nevertheless, there are some options available. Paris has two airports, Charles De Gaulle (CDG) to the north and Orly (ORY) to the south. Where can I store my luggage at Paris Charles De Gaulle (CDG) Airport? In Terminals 1 & 2 — Storage is provided by Bagages du Monde. See their page, written in very French-style English, on the official website for prices. Storage here is very expensive and the prices add up quickly. Open daily from 06.00 to 21.30, 7 days a week. See the price page above. It gets expensive! The RER is the Paris urban transit rail system: it has two stations at Charles de Gaulle airport, one called "Terminal 1" which is actually between the terminals; the other under Terminal 2. Cost of a ticket to central Paris: 9.50 €. Tickets can be bought at the station either from a ticket booth or from a machine. Buses are also available. Roissybus (run by the Paris bus company) travels from CDG directly to Place de l'Opéra, in the 8th district of Paris. Departures every 15 - 20 minutes 6 am - 11 pm. The cost of a ticket one way (in 2015) is 11.00 €uros. It is free for holders of a valid Paris-visite travel pass. Tickets can be bought on the bus. Pickups : Terminal 1 door 32, Terminal 2B & 2D door D11, Terminals 2A & 2C door A9; Terminals 2E & 2F - hail the driver . Where can I find luggage storage near Paris Orly Airport? Orly airport does not provide luggage storage. Stasher has a hotel in Massy, a short distance from Orly Airport, that can help you if you need storage in transit.